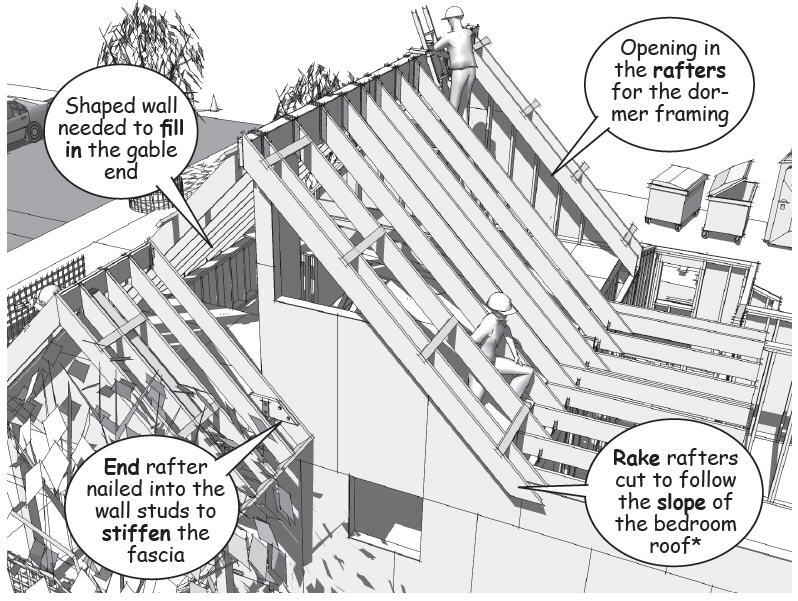 Roof sheathing is added to stiffen the steeply pitched roof against lateral loads caused by wind and earthquake. An opening for a dormer on the north side of the roof is left open and will be framed after the intersecting hip roof is completed. 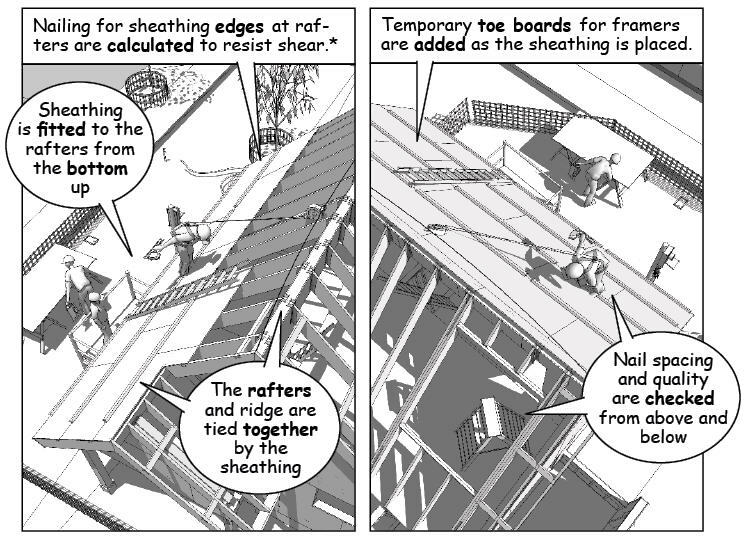 The opening allows carpenters to stage tools and equipment on the loft floor and have direct access to the work for the intersecting roof. The framing for the dormer is framed similar to the opening in a wall, with a header, sill, and reinforced jambs to carry loads down from the roof and walls. Short rafters are clipped to the ridge beam and the interior bearing wall to counter uplift loads from the dormer once it is in place. 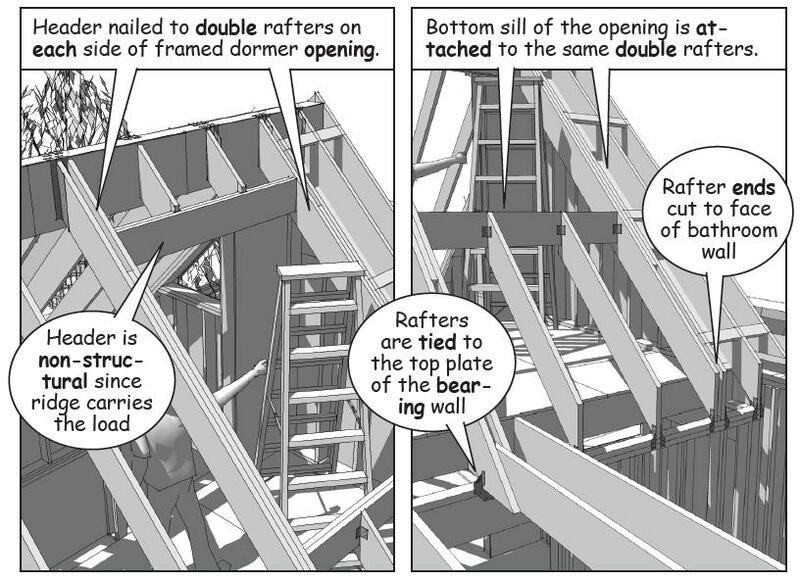 The edges of the sheathing are supported by structural clips inserted between the rafters along the horizontal joints. These clips stiffen the edges against long term loads from weather and dead weight of the roofing. 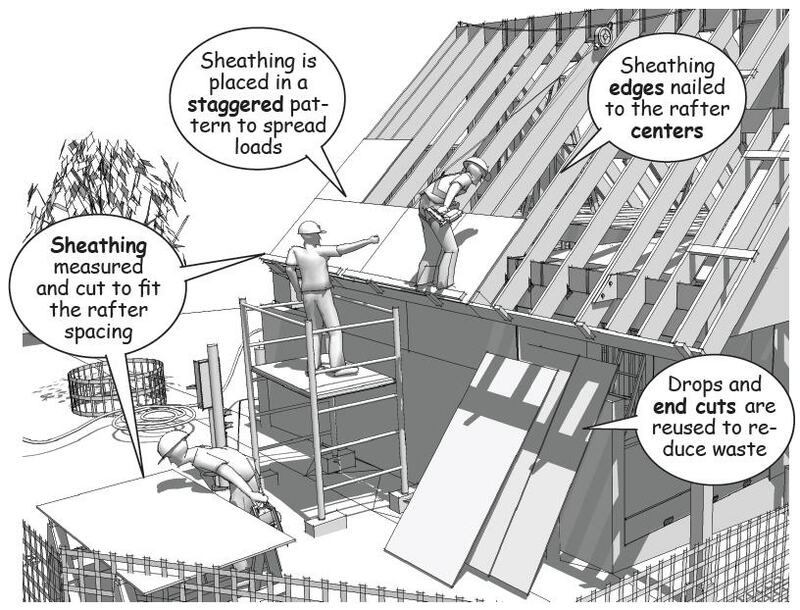 The sheathing is placed in a staggered pattern to minimize continuous joints and distribute the roof loads evenly across the rafters. Each sheet is cut to fit the rafter spacing and the edges are nailed following a designated nail pattern. Nail placement and spacing are specified by the engineering calculations and the requirements of local building codes. 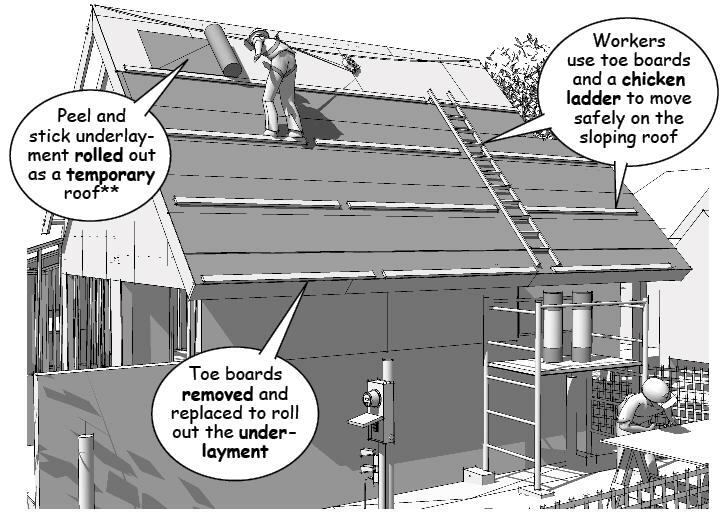 Safety lines and harnesses are not always required by residential codes for single story construction, but the added support makes it possible for carpenters to move quickly across the roof and repel along the roof edges. Toe boards and chicken ladders give the carpenters a better footing and are nailed into the rafters as an underlayment to temporarily waterproof the unfinished framing.